Dean and Cauvin Trust is committed to promoting diversity and ensuring equality of opportunity. This applies to existing and potential employees, Board members and the young people we work with, or may work with in the future. 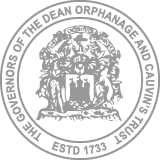 Dean and Cauvin Trust complies with anti-discrimination legislation and will not treat people less favourably on the basis of ethnic origin, gender (including gender re-assignment, transgender identity, gender identity and/or gender expression), disability, age, religion, marital status, sexual orientation or religious beliefs. We take a diversity approach to equality because we value and respect the contribution that people from a variety of backgrounds with different perspectives and ideas can bring.